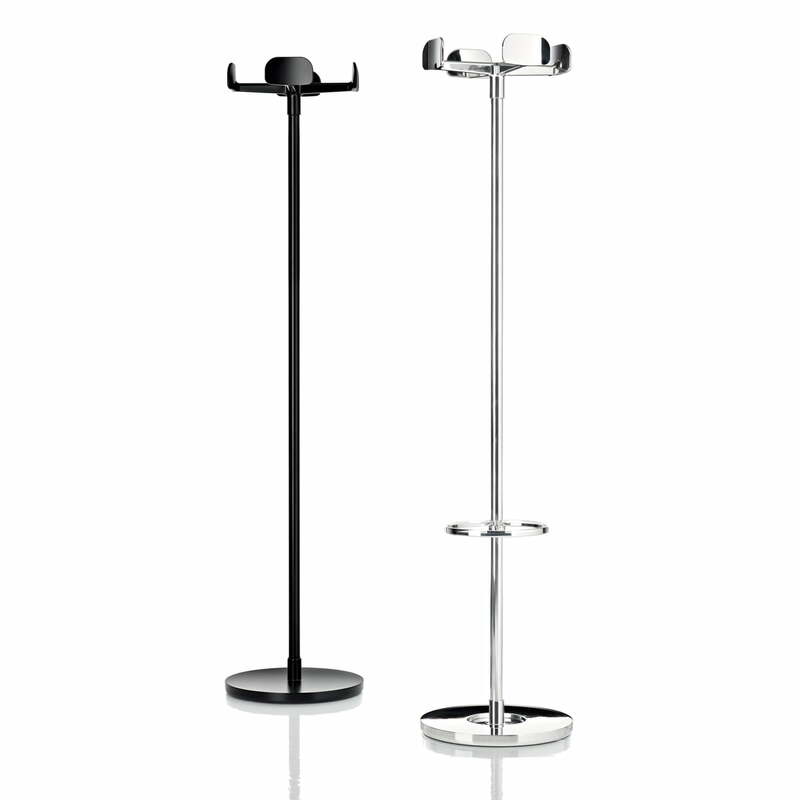 The Four Leaves clothes rack was designed by Edward Barber and Jay Osgerby for Magis in 2010. Four hooks, placed like petals at the top of the clothes stand offer space for jackets, coats, scarves, etc. and are the reason for Four Leave’s name. Further down at the frame of the Four Leaves hall stand there is an integrated umbrella stand. 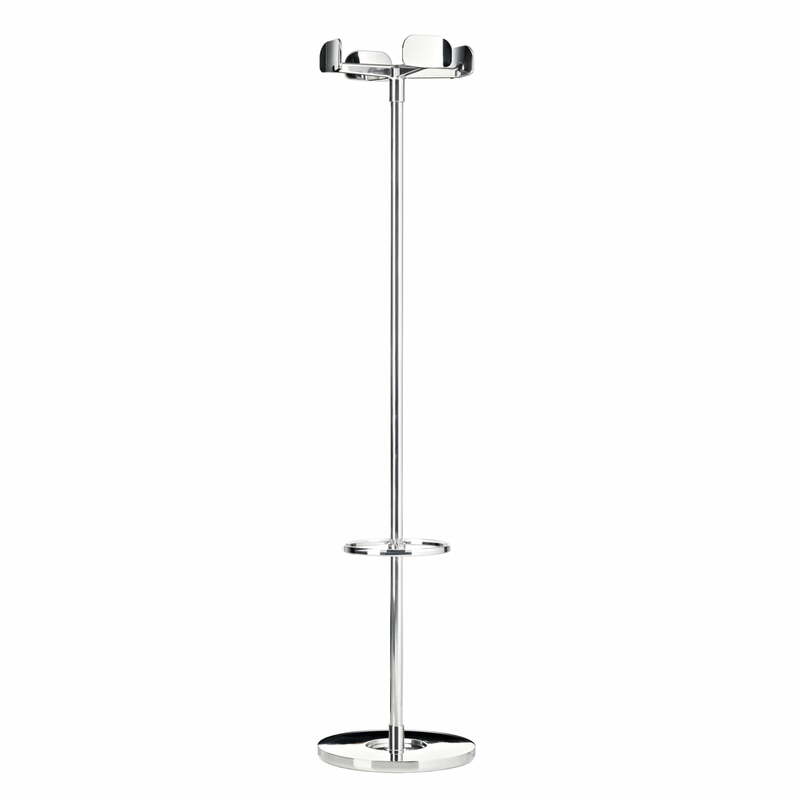 The base has the same diameter as the “crown” of the clothes rack and ensures a harmonic impression and balanced proportions. 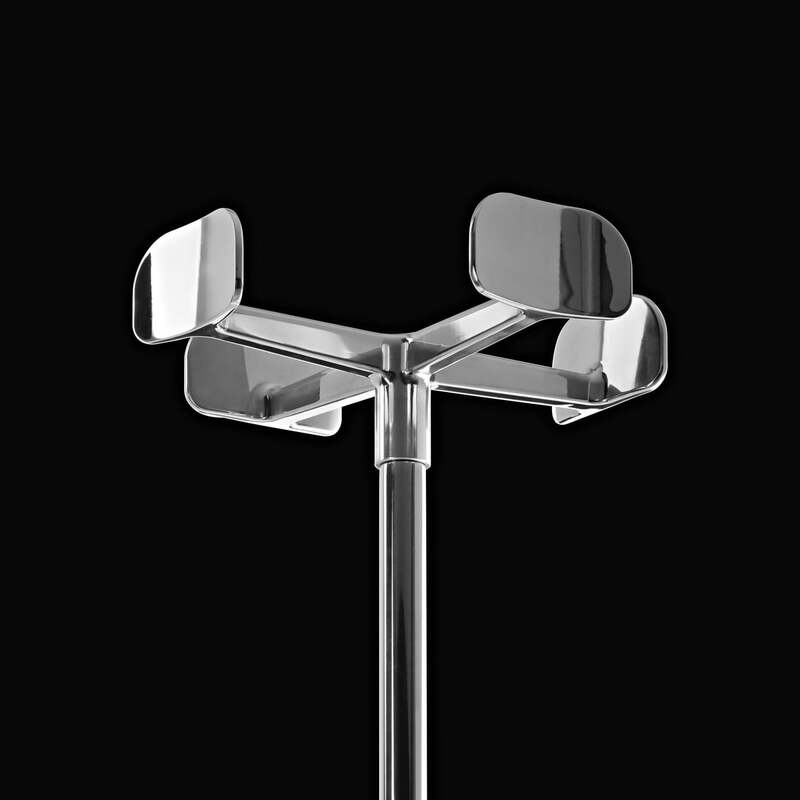 Foot, umbrella stand and clothes hooks of the Four Leaves consist of die-cast aluminum. The frame is manufactured out of aluminum tube by Magis.